No matter how much water I drink, my skin always seems to err on the side of dehydrated. It’s also dry, but dehydration seems to be the biggest concern in terms of keeping my skin happy. My skin has been feeling extra-parched of late, so I’ve been turning to these hydration helpers to get my skin back on track. I used to think it was all about the moisturiser when it comes to keeping the skin hydrated. How wrong I was. I now think serums are the thing worth investing in because they get to work a lot harder at actually treating the skin and targeting any problem areas. 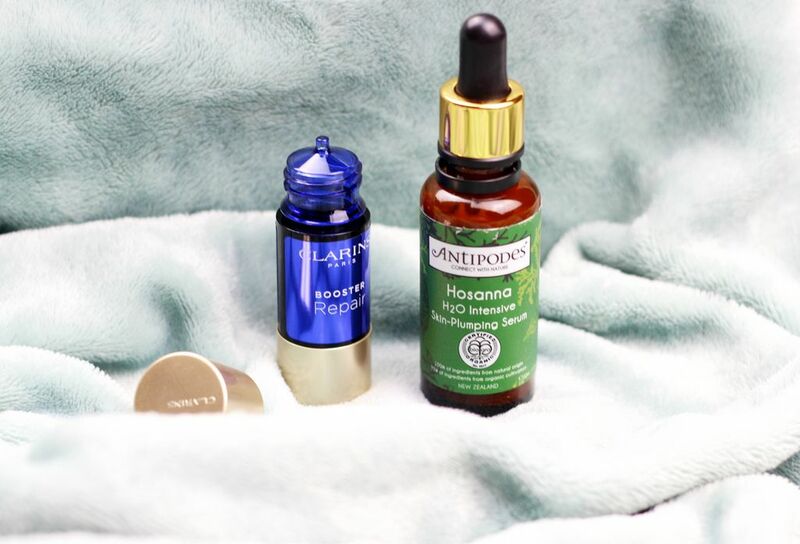 One that has been working wonders on my skin is the Antipodes Hosanna H20 intensive skin-plumping serum. It’s oil-free, so feels really light on the skin and it disappears into the skin so quickly when I apply it – it’s like a big drink for your skin. 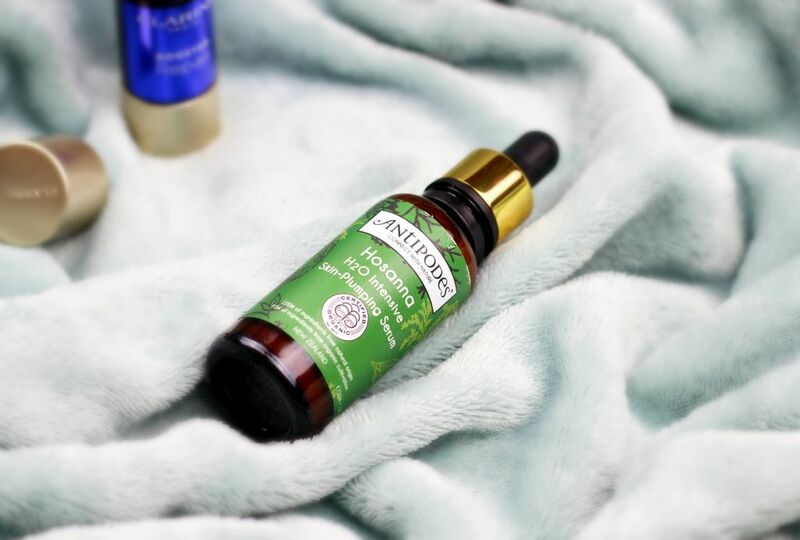 I had the pleasure of meeting the founder of Antipodes recently, and she was so passionate about the ingredients in Antipodes products – this one is packed with the good stuff and has knocked my beloved Vichy aqualia serum to second place. 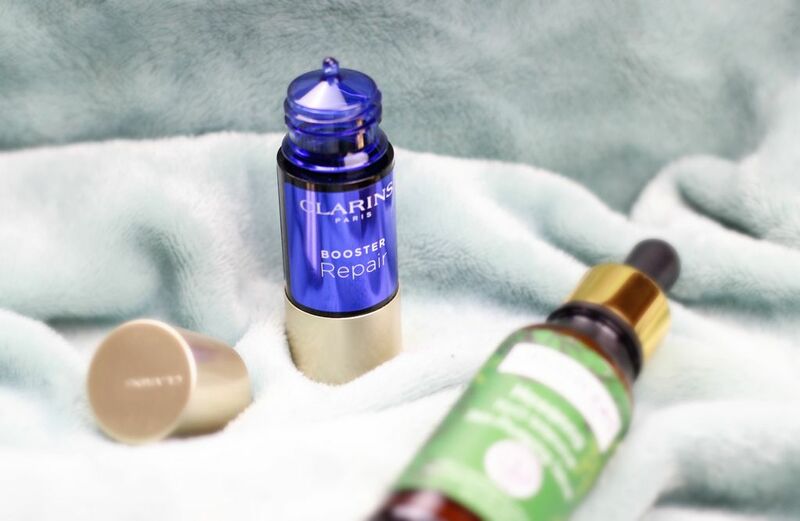 Something I’ve really been enjoying using is the Clarins booster repair – I add a drop of it to my moisturiser as the finishing touch and it acts as a nice boost of hydration. I’ve essentially been treating it as a hydration topcoat – I pat it in over the top of my day cream and it leaves a nice smooth finish. It’s quite concentrated, so one drop tends to be enough for me when I mix it in. I find that when I use this, my skin stays feeling soft for longer, but it’s not too greasy. You can also mix this in with your foundation, but I find something lighter (like Kiehl’s or Zelens) works better for that on my skin. The downside would be that you get a teeny 15ml, but as I use one drop it doesn’t annoy me too much. That’s my current situation – a moisture sandwich. How do you tackle specific skin concerns?